The digital age we live in has made us accustomed to having just about anything we need right at our fingertips, but when it comes to smart homes and businesses, many users are still dipping their toes into the sea of opportunity. Automating your home or business with our cloud and Internet of Things (IoT) enabled Nviromon ULTi will give you control over and monitoring of your home or business – wherever you are and on any device with an Internet connection. The ULTi has communicative IoT sensors and the ability to port myriad data from these sensors to the cloud. Controlling the switching on and off of alarms, lights and generators, the opening and closing of gates and even security through the monitoring of power cables and electric fencing – these are just the beginnings of a long list of applications for the ULTi. Agricultural – Equipment control, reporting and security, Pumps, pivots, generators, cable theft monitoring, irrigation etc. Industrial / commercial – Environmental monitoring, access control, Machine and process monitoring and control, reporting. Generator/ backup management, refrigeration and air-conditioning, building management, electrical power management, fire protection and much more. Residential – Electrical power management, security with alarm reporting, irrigation, access control and home automation. Security – Monitor cable theft, electric fencing, alarm reporting, etc. Access Control – Manage individual access for any gate or door. 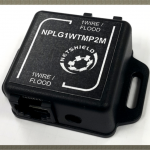 The optional IoT sensors users can connect to the ULTi including flood, fire, temperature, humidity and power monitoring sensors to name a few, provide protection of sensitive assets around the clock by alerting users should anything go wrong in an environment. Weighing just 200 grams the ULTi has a mounting flange that makes it easy to position and the screw terminal connecters provide easy connectivity of devices and sensors. It has a standard Ethernet connector to interface with a LAN but its standalone capability means that it does not require a PC for setup. The device also has a real time clock and SD card for connection to user devices. Users can choose between GSM alert methods including SMS, GPRS or voice calls and are provided with USB connectors on the device itself for interfacing with other devices like GSM modems and memory sticks for logging information. The ULTi is powered from an external DC power supply, monitoring and reporting on the status of the AC power feed. Perhaps the most valuable aspect of the ULTi is that it allows users to respond to threats and emergencies in real time, preventing catastrophe and providing peace of mind for users on the move. 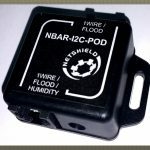 In South Africa, where we experience power outages and cable theft often, and that’s not to mention our ever-unpredictable weather, knowing that you have the power to monitor and control your home and business environments as well as protect the assets within these, will definitely help you to sleep easier. 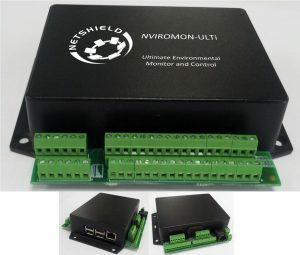 For the full list of features of the Nivromon ULTi please visit www.netshieldsa.com, phone +27(0) 86 111 4428 / +27(0)12 841 0320 or email sales@netshieldsa.com.